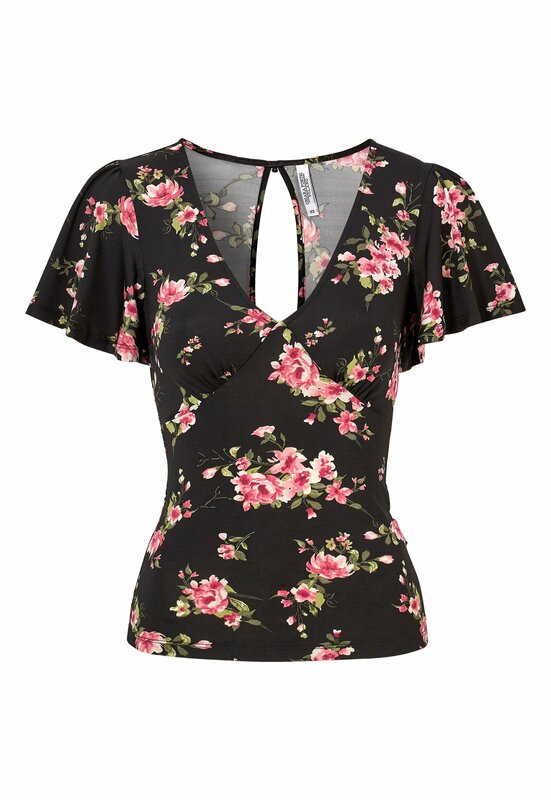 Cute floral patterned top with bell shaped sleeves from CHIARA FORTHI. - Keyhole opening at the back that closes with a button at the neck. Total length of dress in size S is: 57 cm.